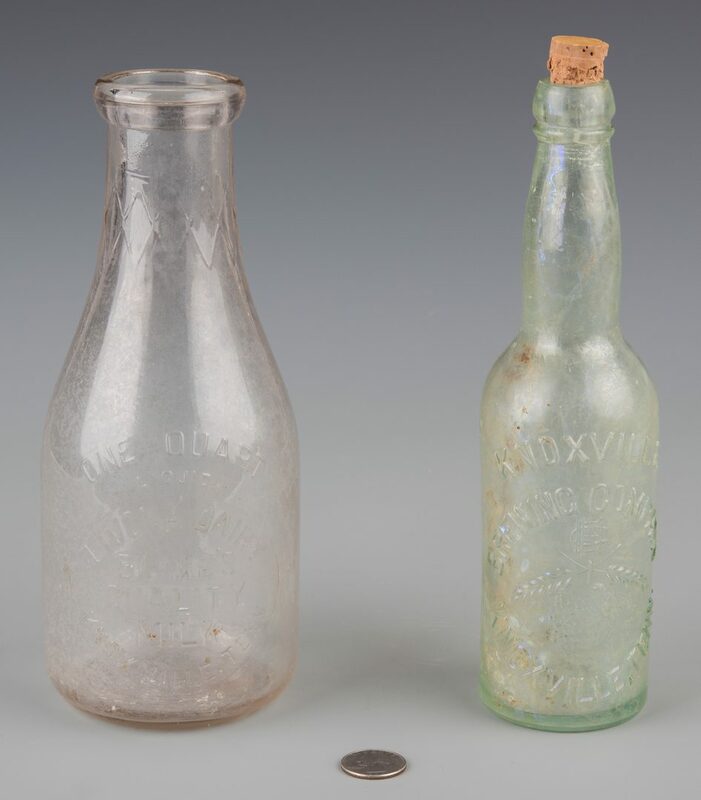 Knoxville Brewing Company Bottle and Livona Dairy Bottle, 2 items total. 1st item: Knoxville Brewing Company clear glass bottle. Embossed "KBC" monogram logo above image of hop berry, center. Includes cork. 10 1/4" H x 2 1/2" W. American, early 20th century. 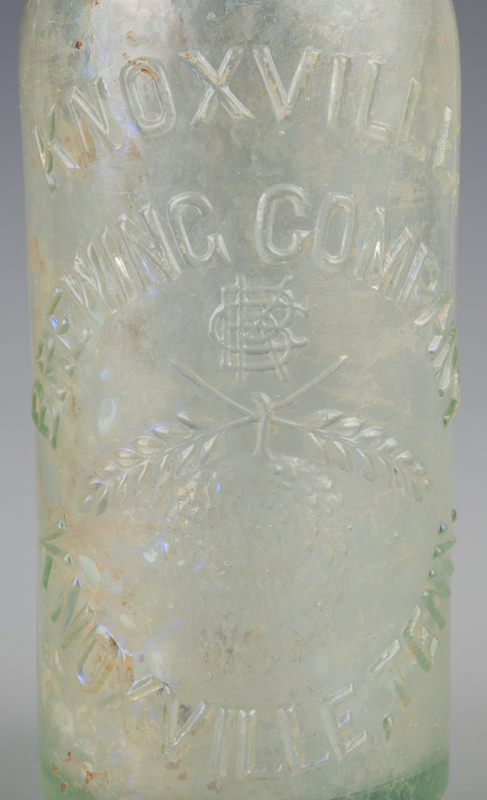 2nd item: Livona Dairy one quart clear glass bottle. Embossed "Livona Dairy Blake's Quality Milk Knoxville, Tennessee", center. Embossed "19(symbol)5 LD Duraglas", underside of bottle. 9 5/8" H x 3 3/4" W. American, early 20th century. 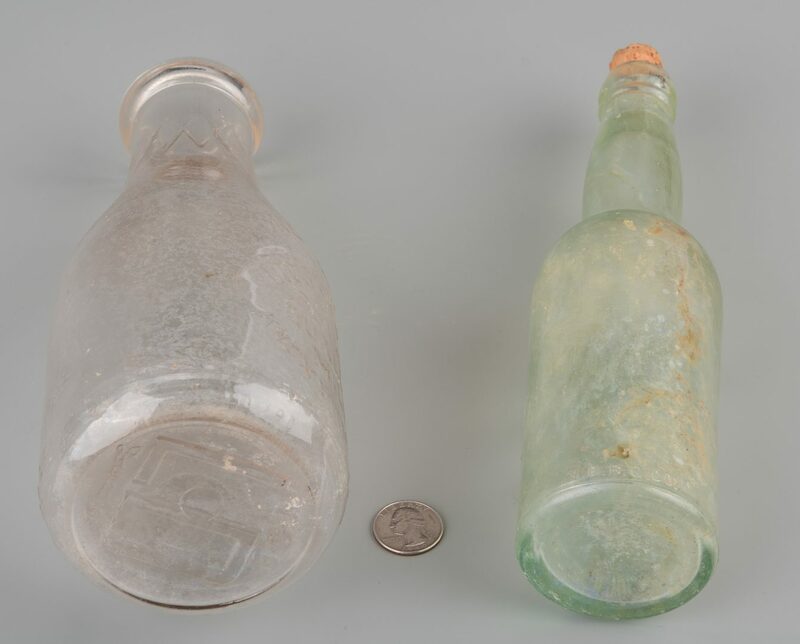 CONDITION: Both bottles with dirt encrustation, interior of bottle.